Translated from Malay, Layang Layang means 'Swallows Reef'. The island is located in waters 2,000 metres deep, Layang Layang is an atoll of 13 linked coral reefs. The island is part of the 600 islands, reefs and shoals in the South China Sea known as The Spratlys. The island sits in one of the most hotly contested pieces of real estate in the world - it serves primarily as Malaysia's claim to ownership of this section of The Spratlys i.e. those which are closest to her land area. The amazing fact about Layang Layang is that this tiny, exposed islet was practically man-made! It was built by the Malaysian government, which collected sand and connected two isolated reefs by filling the channel between them. 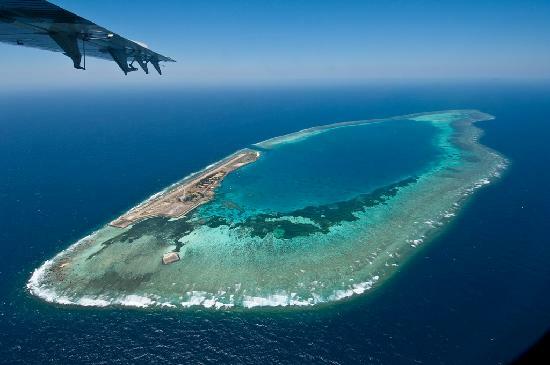 The Malaysian government opted to build an airstrip, dive resort and military installation on this reef since in 1983. 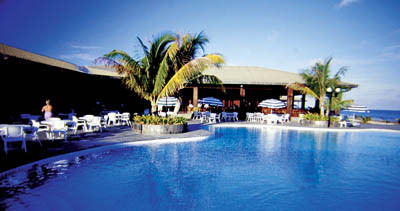 Seventy soldiers live on this island and the dive resort is open to any visiting scuba divers. Layang Layang Island, a coral atoll that is truly one of nature's best creations. Dubbed as 'The Jewel of the Borneo Banks'. This oceanic atoll is situated in the South China Sea about 300 kilometres north west of Kota Kinabalu. The atoll isn't that large - it only covers an area of 14 square kilometres. Situated about 300 km off the Borneo coast, the atoll is surrounded by waters teeming with a rich biodiversity of marine life. The reef topography is essentially made up of a rich growth of hard corals; some are shallow that they break surface during low tides, but most begin at depths of about 5 metres and the wall plunges to about 2000 metres to the ocean floor. 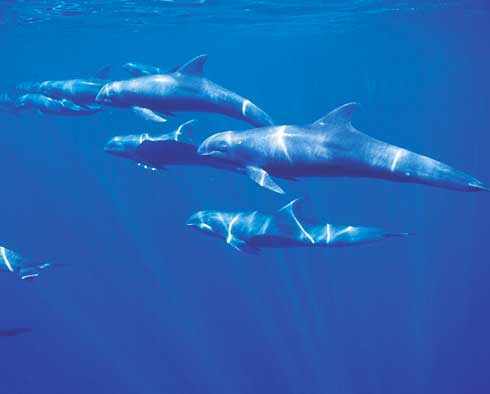 The deep-water attracts numerous pelagics and offers some exciting encounters off the wall. Time and tide has linked 13 coral reefs to form a languid lagoon with just a fraction of it breaking the calm surface of the sea. This atoll is also the home to one of the most converted diving sites in the world. With an average visibility of 30 to 50 metres, you can be assured of an amazing scuba diving experience here. 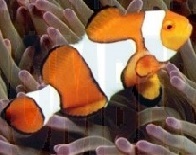 Fishes of every kind of colour darting in and out of delicate pastel corals are a common sight in this underwater playground. The months of April and May are the best times to see schools of scalloped hammerhead sharks, which gather to perform mating rituals. You may even encounter a whale shark or two. Diving in Layang Layang is challenging and varied - visitors often enthuse about both the above - water and underwater beauty of the area. The inhabitants of the deep blue sea are not the only treasure on Layang Layang. Situated on the other end of the island is a bird sanctuary where migratory swallow, egret, brown foot booby, crested terns and other feathered creatures find a resting place on a predator free breeding ground after a long journey. While watching a brown booby swooping down, people will come to understand why bird lovers take pleasure in the art of bird watching. The birds are absorbed in their journeys, passing above you in waves, submerging you in song. These feathered sprites show nature's diversity in all it's glory. 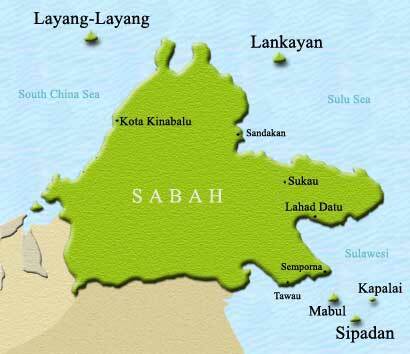 Layang Layang is a one hour flight north of Sabah�s capital Kota Kinabalu. There is only one resort on the island the aptly named "Layang Layang Island Resort" and your package to stay there includes the return flight from Kota Kinabalu. The resort is closed from September till February.